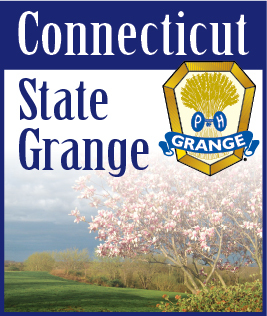 Autumn is on the way now and we look forward to the annual session of the Connecticut State Grange. Let us consider how to make ourselves more likeable person in the world. People to whom we are attracted, naturally respond with kindness and caring to others. Highly likeable people are good listeners. They value people and value them by listening carefully when they speak. These kinds of people are always interested in what others have to say. When we speak to likeable people we have the strong impression that we are the top-most thing on their minds. Likeable people care about others. They make it a habit to care about the success, happiness, joy and comfort of others. They are not blind to the needs of others even though they have a fierce need to achieve their own success. And when they come up short in terms of caring, they are quick to make a correction. Highly likeable people have a vibrant spiritual life. Just as the body demands physical exercise and the mind calls for intellectual challenge, the spirit demands attention and practice to keep that inner flame glowing. Likeable people work consistently on their spiritual lives. As a result, they not only develop inner strength but have a greater tendency to be open, nurturing, kindhearted and compassionate, loving and tender. While we can be good people without a special awareness, I think we more consistently practice loving caring behavior when we are connected to a divine source than when we are not. One of the usual purposes of spiritual practices to turn awareness away from ego-based needs toward consideration of a higher good. The less I am focused on my own ego-based power, the more beneficial, present and serene I can be. Highly likeable people are honest. They demonstrate an unusually high level of integrity and trustworthiness. Doing the right thing is a constant for them. They are deeply principled. We can all practice in our lives the ability to be more likeable people by inspiring others believing that they are capable of great accomplishments. They believe that others will follow through with assignments, and do whatever is needed to accomplish goals. Having positive expectations of others predisposes leaders to expect more, check less, and encourage people to give their best.